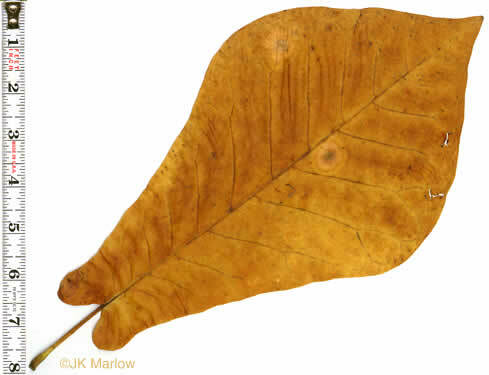 Your search found 11 image(s) of leaves of Magnolia species. 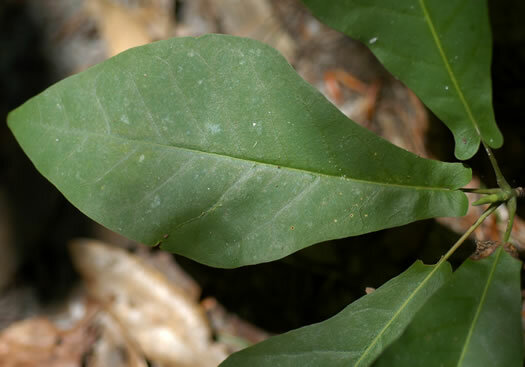 Leaves whitened below, 4-6" long, per Woody Plants of the Blue Ridge. 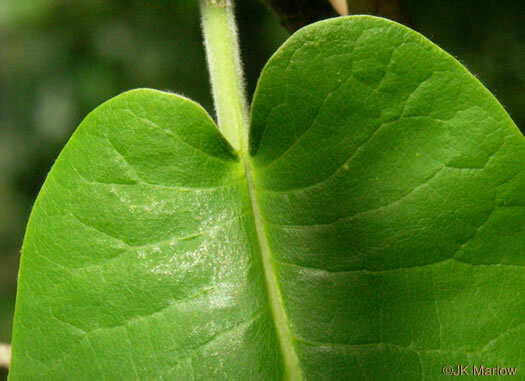 Leaf blades heart-shaped or lobed at base, per Native Trees of the Southeast, An Identification Guide. 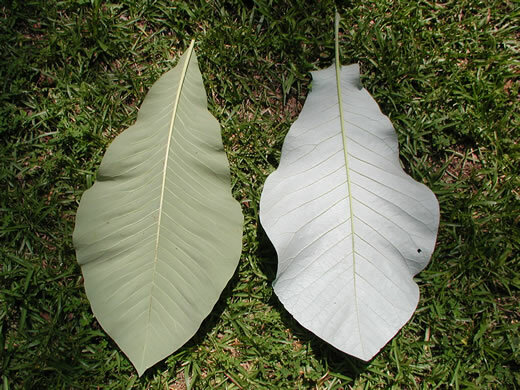 The largest simple leaves of any tree in North America, per Landscaping with Native Trees. 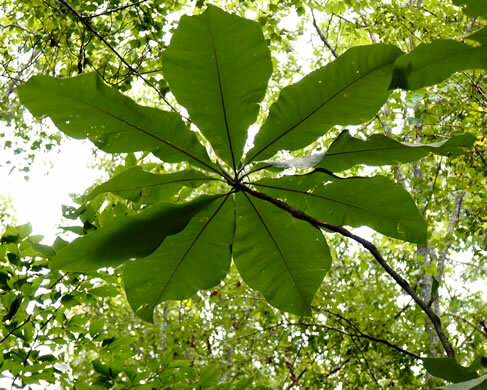 Looks similar to M. macrophylla, but w a shrublike habit & narrower fruit, per Native Shrubs and Woody Vines of the Southeast. 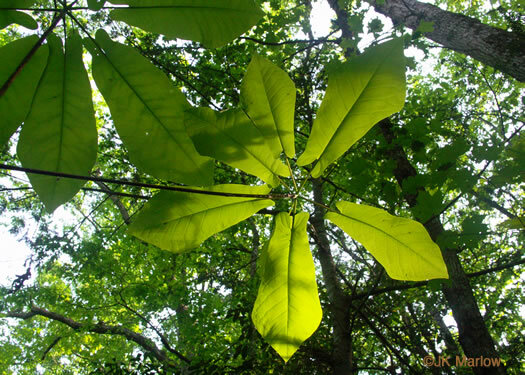 False whorls of leaves at branch tips impart an umbrella-like appearance, per South Carolina's Native Magnolias. 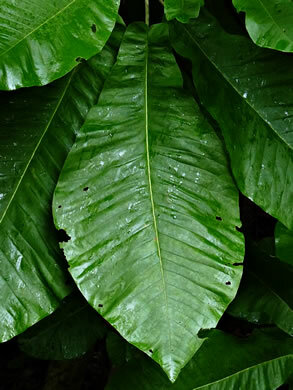 Journal of the SC Native Plant Society (Figlar, 2007). 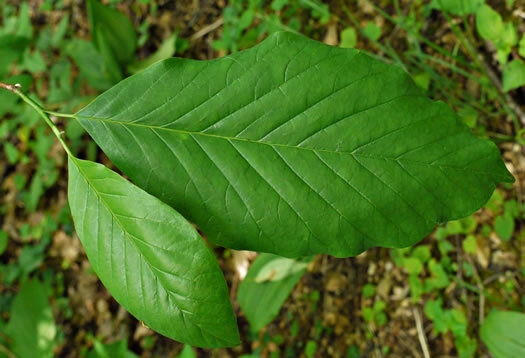 Blades obovate to spatulate, conspicuously auriculate at the base, glabrous, per Native Trees of the Southeast, An Identification Guide. 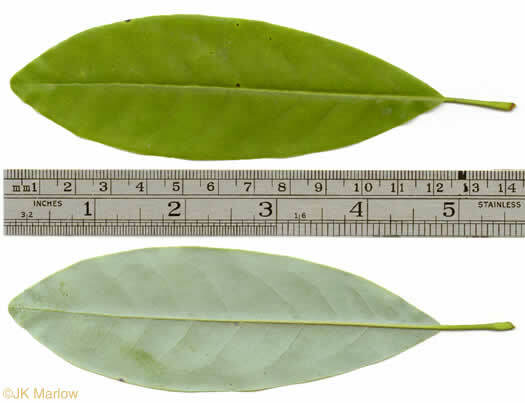 Closely related to M. fraseri, but leaves generally shorter (5.5-8.5" long), per Native Trees of the Southeast, An Identification Guide. 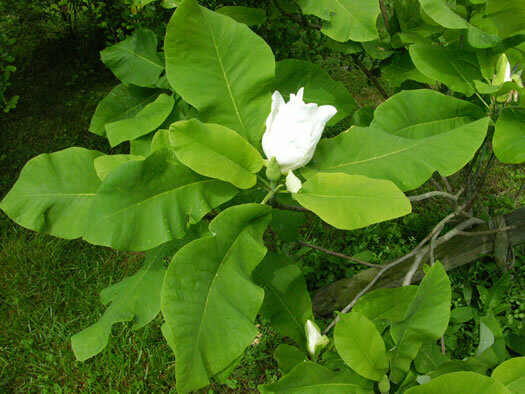 Resembling M. fraseri, but its much larger leaves are tapered at the base, per South Carolina's Native Magnolias. Journal of the SC Native Plant Society (Figlar, 2007). 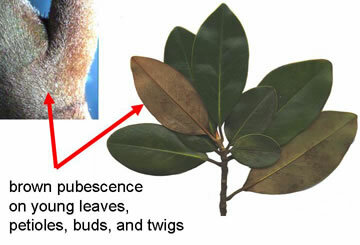 Leaves lacking auriculate base & spaced along twig (not crowded terminally), per Native Trees of the Southeast, An Identification Guide.